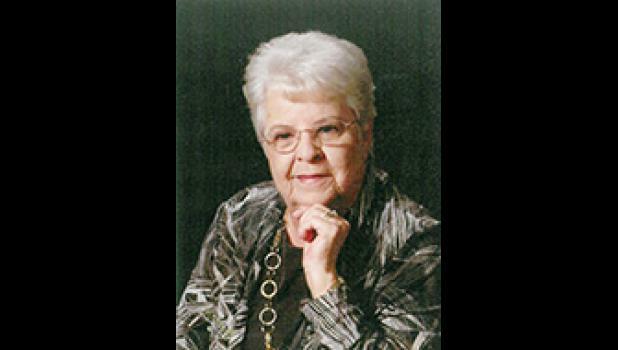 JoAnn Bogan Ensley, 76, widow of Charles Donald Ensley, passed away January 22, 2019. A native of Greenville County, daughter of the late Tom and Gladys Woodson Bogan, she was a retired employee of Springs Industries and a member of El Bethel Baptist Church. Surviving are two sons, Donald Keith Ensley, Sr. of Duncan and Jeffery Scott Ensley, Sr. of Greer; two daughters, Kimberly Hand (Barry) of Reidville and Pamela Patterson of Duncan; one brother, Doug Bogan (Glenda) of Greer; one sister, Ruth Oliver of Greer; eight grandchildren, Leland Hand, Krystal Hand, Keith Ensley, Dana Murphy, Jeffery Ensley, Jr., Michelle Ensley, Jared Ensley and Josh Patterson; and ten great-grandchildren. Mrs. Ensley was predeceased by two brothers, Tommy Lewis Bogan and Johnny Bogan, and two sisters, Kathleen “Kat” Smith and Bobbie Flynn. Funeral services will be held 2 p.m. Saturday, January 26, 2019 at The Wood Mortuary, conducted by Rev. Joe Seay and Mr. Jared Ensley. Burial will follow in Hillcrest Memory Gardens. Visitation will be held 6-8 p.m. Friday, January 25, 2019 at The Wood Mortuary. Memorials may be made to El Bethel Baptist Church, 313 Jones Ave., Greer, SC 29650.